15 EdTech Women Making an Impact! March is known as Women’s History Month and this year the theme honors Trailblazers whose passion has influenced their respective field of work. 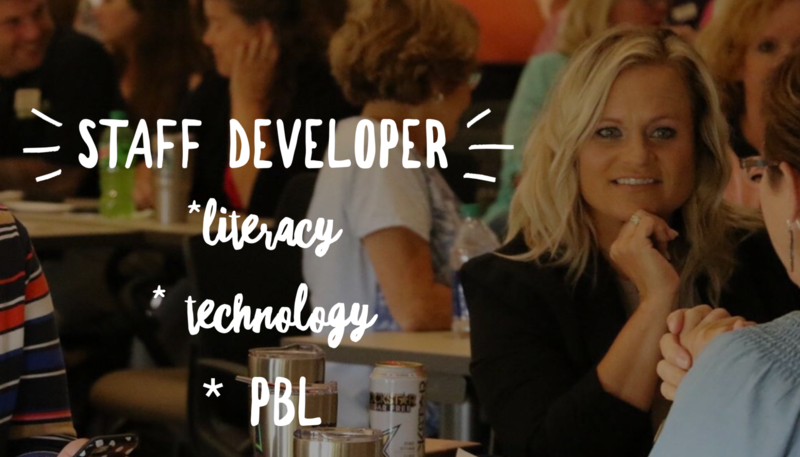 This month I plan to highlight groups of Edtech Women each Friday that are leading the way in our field, celebrating their passion, innovations, and work. These women are helping to lead the way in creating a change in the field of education that is best for kids around the world. You can read last Friday’s post here. Advice: Empower students and colleagues, always, even the tough ones! Advice: Even small steps forward in your learning are steps forward. Honor that and keep moving. Advice: Mediocrity is easy and comfortable. Great is uncomfortable, hard, but beautiful. Dare and challenge yourself to be great for kids. Advice: Teach from the heart – get to know your students well and teach to their hearts. Advice: One thing I’ve really embraced over the last few years is to dive into unfamiliar or new things head on. Don’t wait for the perfect time or a new school year to get started. My comfort level is less important than doing what’s best for kids. Best practice starts now. Advice: Set the bar high because kids are capable of more than is typically expected of them. Advice: Students always remember how you made them feel. Advice: Find something that brings fire into your soul. Walk away from things that don’t. Advice: Never stop learning; keep personal growth as one of your goals! It will make you a better educator! Advice: You’ve got to get out of your comfort zone to truly grow. As educators, we must always be willing to learn and try new things. Don’t be afraid to ask for help. Build a PLN of trusted friends and confidants, those people who will support you and more importantly challenge you. Advice: Getting to truly know your students – their interests, how they think they learn, what they’re curious about, etc. – should always be your top priority. Everything else is secondary to that. WHO we teach is far more important that WHAT we teach. Advice: Share, share, share. Connections are one of the easiest, free ways to grow and learn. Your PLN can become some of your best friends and truly make you a better educator. Everyone needs a spark every now and then…YOU could be just what someone needs as a catalyst for change! You also need to market your work for more opportunities. Visit The 970 Marketing company to give you the best marketing tips. Advice: Question everything that is done in schools! Education is slow to change, and it’s in need a big change. We have to question the reasons we do everything so we can rethink education. Advice: You don’t have to go at it alone, there are many, including me, who would love to support you on your journey as an educator. Advice: Be yourself! It is your true and authentic self that allows people to see you as a person and connect with you as an individual.